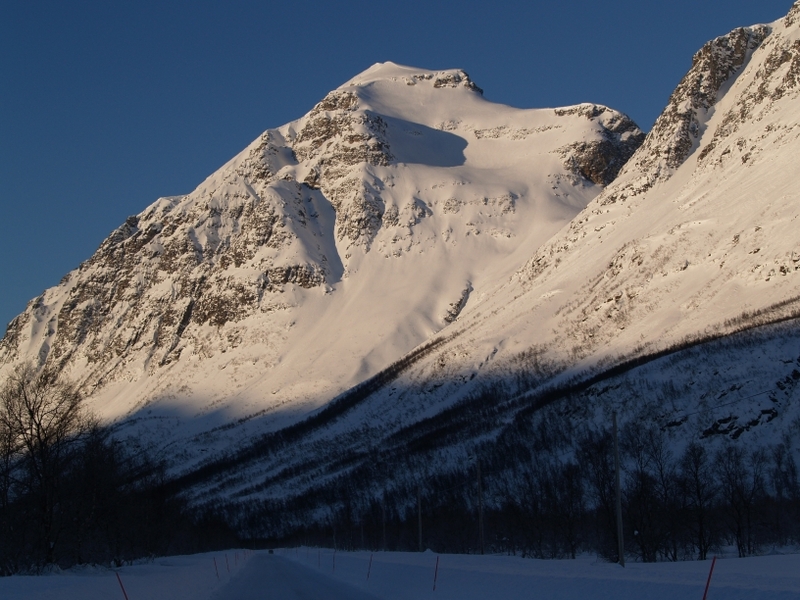 a boulder situated on the pass leading to Skittenelvdalen. 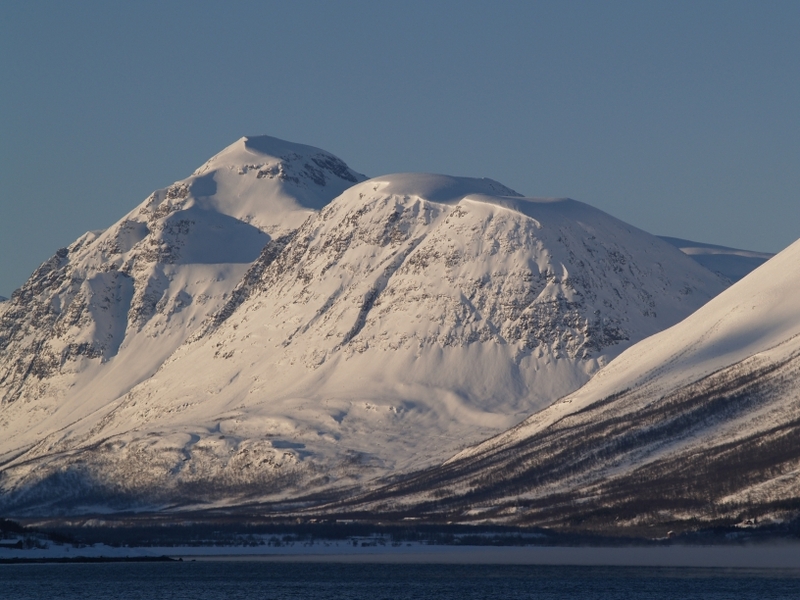 Continue southwards towards Point 830 where the North ridge starts. 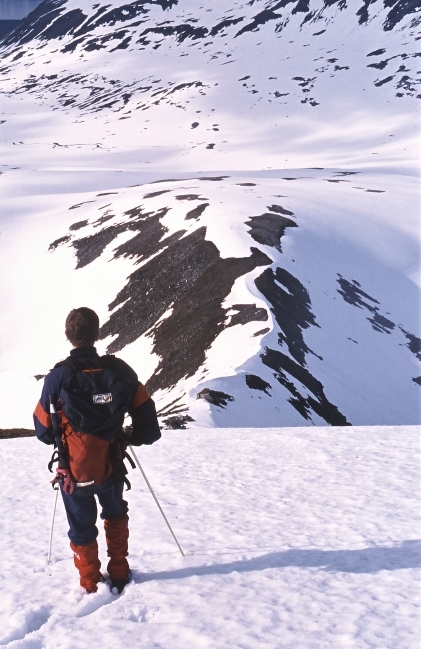 Equipment will vary depending on the conditions, but an ice axe and crampons can be useful. Climbed by Bjørn Arntzen and Geir Jenssen, 3. July 1993. 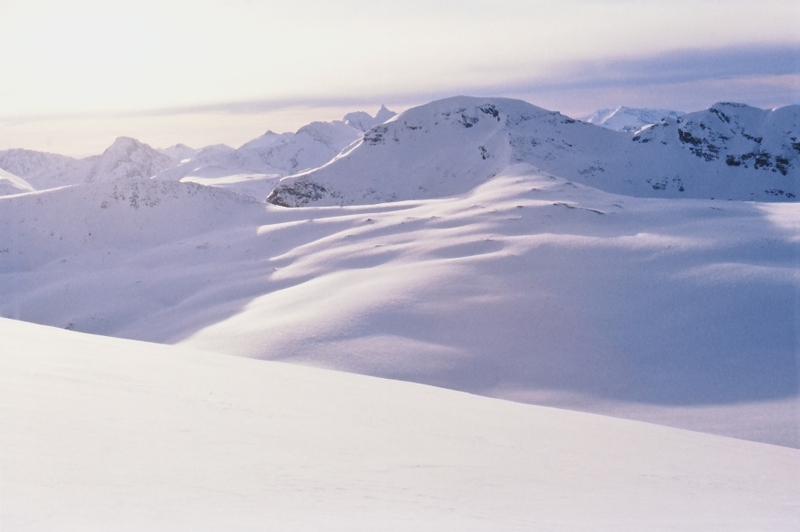 Storfjellet as seen from Nonstinden. The North ridge faces the camera. 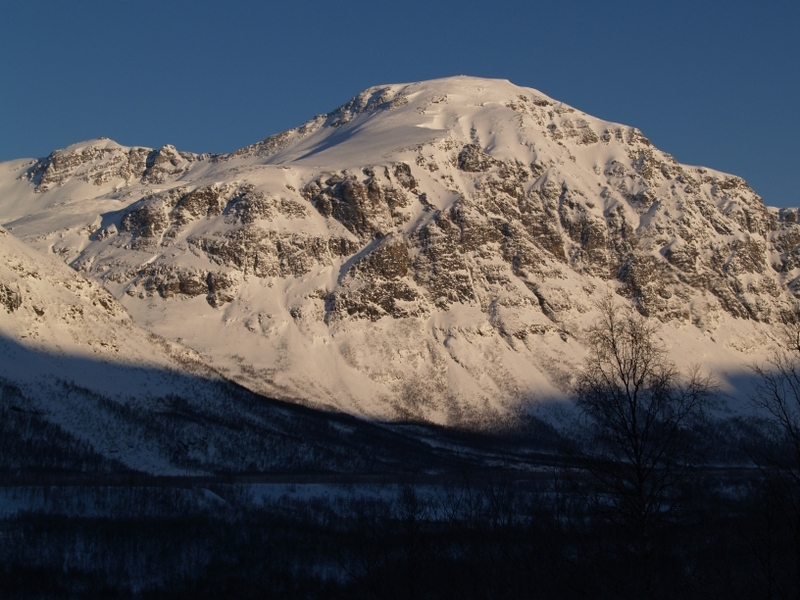 The North ridge as seen from Skittenelvdalen. 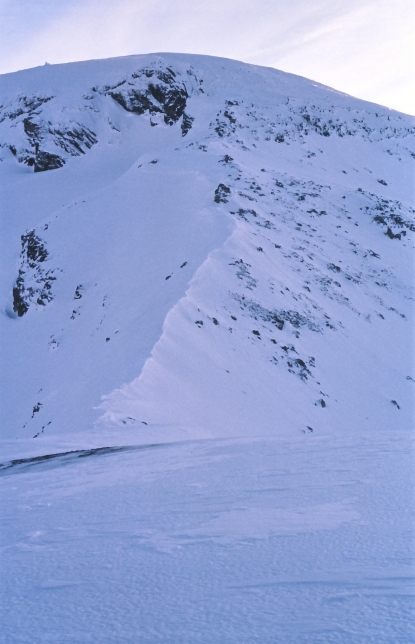 The North ridge as seen from Point 830. Looking down the North ridge from the summit plateau. Storfjellet as seen from Ullsfjorden. 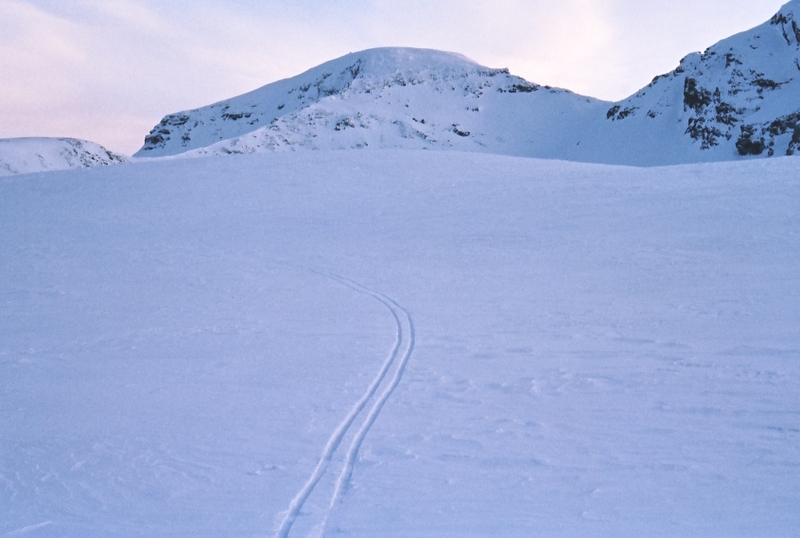 The East face of Storfjellet as seen from Breivikeidet.